Robert Crosnoe is a C.B. Smith, Sr. Centennial Chair at the University of Texas. It has long been understood that targeting the intersection of health and learning is integral to serving children, especially those from disadvantaged backgrounds. However, as there is an increased emphasis on standards-based accountability this philosophy has been jeopardized. 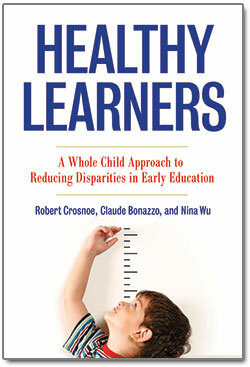 Learn why healthy learning is good for children, schools, and society and discover concrete ways to make it happen.